The title of this post is a little misleading. What I’m really going to show you is how to tell how much time has passed rather than how to tell the exact time. This is a little trick that my grand-dad taught me when I was a boy. Grand-dad was a cowboy back in the late 1800’s. In those days a time-piece was an expensive luxury that most working men didn’t own, and if a man did have a watch he certainly didn’t wear it when doing range work. But cowhands still had to have some way of telling the approximate time at night so they would know when to change guards on the herd. Here’s how they did it, and how you can do the same. By the way, this only works if you live in the Northern Hemisphere. 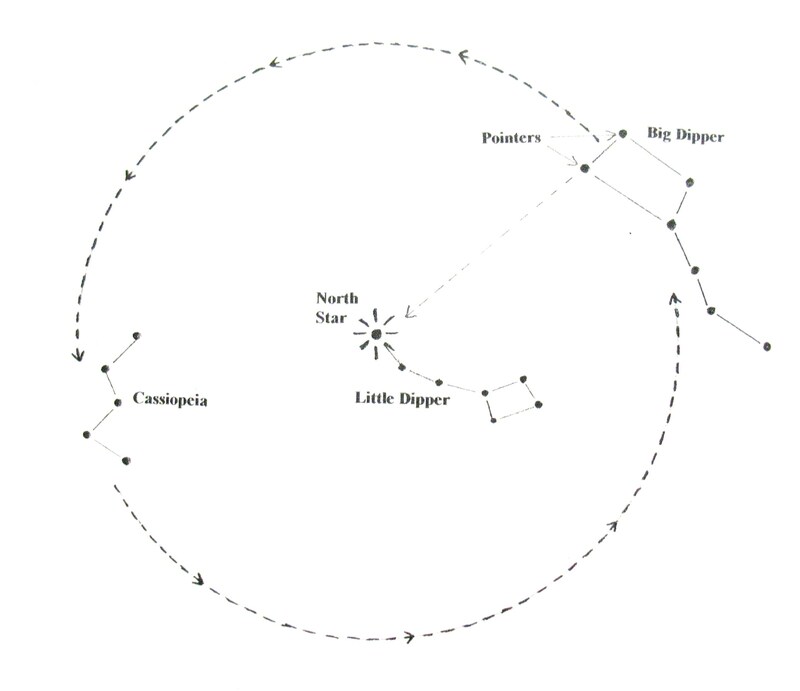 First you need to locate the North Star (see my post of 9/3/2012). 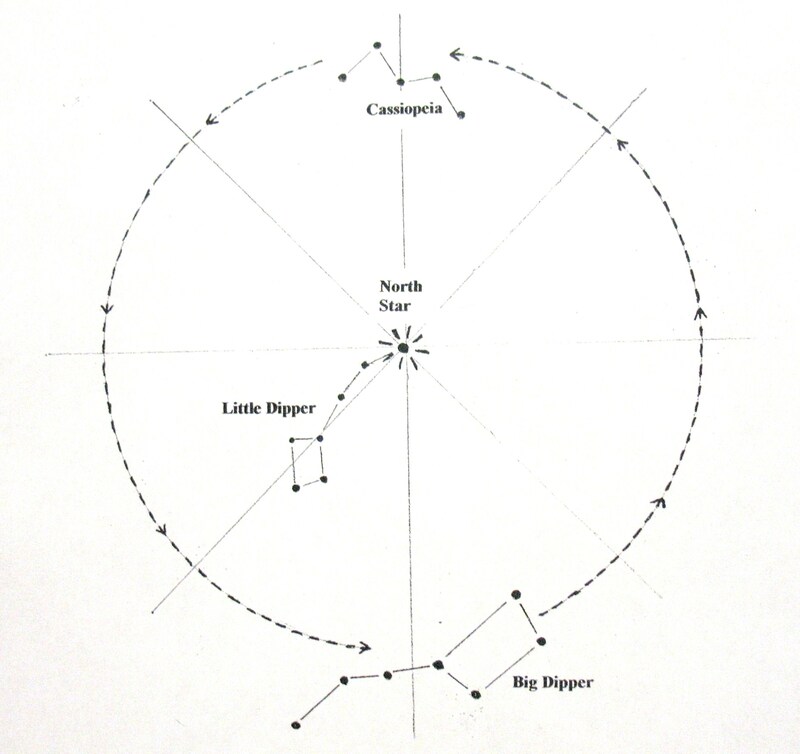 Now look for the two constellations Cassiopeia (shaped like the letter “W”) and Ursa Major (the big dipper). If you live in the lower latitudes, like the southern United States or Mexico, you may not be able to see both of these constellations at the same time. That’s not a problem. As long as you can see one of them this will still work. 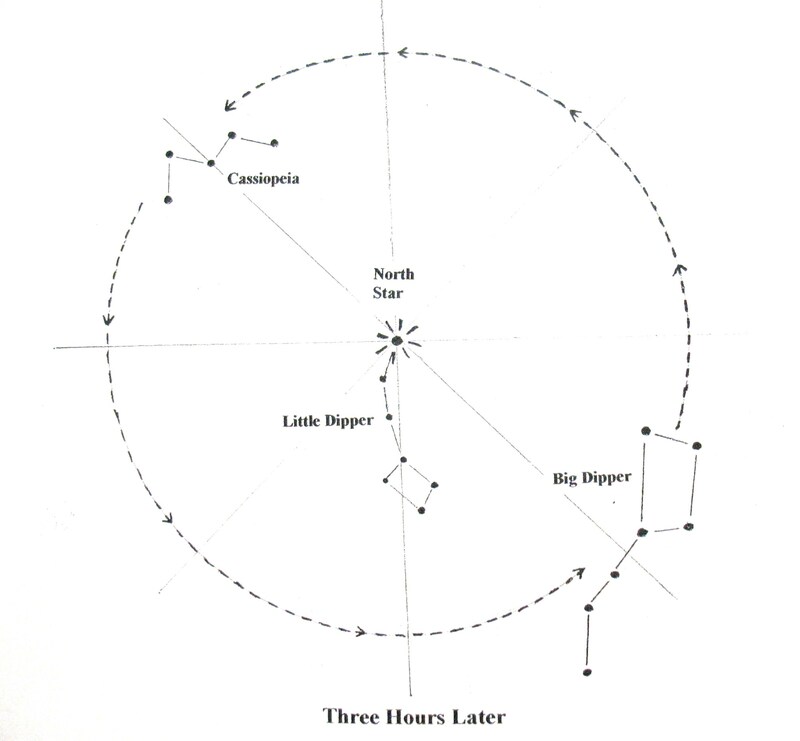 OK, the North Star, because it’s located directly above the North Pole, appears to stay in the same position in the sky at all times. 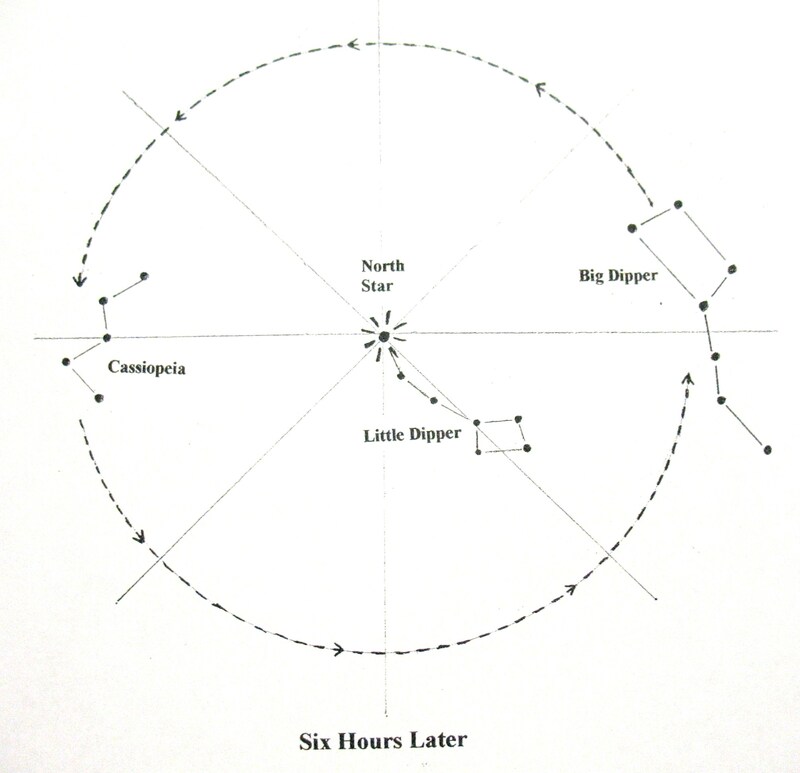 The constellations Cassiopeia and Ursa Major appear to rotate in a counter-clockwise direction around the North Star, and they make one complete trip around the North Star every twenty-four hours. With a little practice a man could tell the passage of time with surprising accuracy. In the example I just gave I used three hours and six hours to make it easy for you to visualize. In the old days, night watch was usually in four hour shifts; and the cowboys could read the stars accurately enough to get their timing pretty close to right.